Question: What BMX track is this and what year? Hint: Sep and I probably just finished watching the original Red Dawn, had a couple of pop tarts, and Mary Lou Retton was already a house hold name and folks just started planning for a large "festival" in Vancouver. That has to be at Aptos High in 1986. Wolverines! 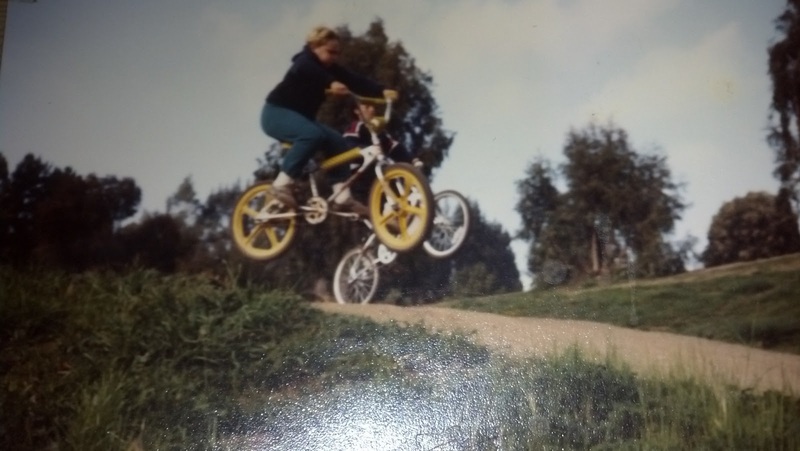 Correct, Aptos High BMX track 1985. Fred Marburg ran the track. He hooked me and Carl Wolf up with some CW bars! Mike Shiro got some CW's as well, but they only lasted a day as his beloved Diamond Back Silver Streak was stolen at Seascape Tennis club (along with every other kids bike that summer).